Trying to apply the Transitive Property of Equality (or Inequality) to horse racing is amateurish, simple-minded, and a recipe for a lot of losing tickets. That said, I am going to use such methods now as a partial basis for my argument that Good Magic is the best horse in this crop of Derby contenders. First, let’s forget about his win in the Breeders’ Cup Juvenile. Forget all the speed figures. Go back and watch his runner-up effort in the Champagne Stakes in his second career start (#6, yellow silks). Good Magic sat close to a pretty quick pace, experienced some minor traffic trouble, swung wide, took the lead, and drew off from everyone except for the winner, Firenze Fire, who would bounce back from his poor Breeders’ Cup showing to win the Jerome and run 2nd in the Withers. In my opinion, Good Magic’s Champagne was every bit as impressive as his subsequent win in the Breeders’ Cup. To do it in his second career start was quite a feat. In the Breeders’ Cup, Good Magic soundly defeated Solomini on the level. If you want to argue that Bolt d’Oro had a tough trip, fine. But I’d in turn argue that Bolt d’Oro was on the best part of the racetrack and wasn’t going to get to Good Magic that day. And even if Bolt d’Oro HAD caught and beaten Good Magic in what was Good Magic’s third career start and first around two turns, I would STILL prefer Good Magic moving forward off what would have been back-to-back impressive losing efforts, including (what would have been) a losing effort to the more-seasoned Bolt d’Oro on that one’s home track after shipping from the East Coast. 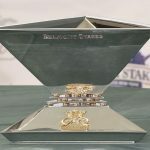 Will someone win the Triple Crown this year? Now for the Horsey Algebra. Coming out of the Breeders’ Cup, I don’t see how anyone can argue that Good Magic IS NOT better than Solomini. Good Magic blew Solomini’s doors off at Del Mar on the level. From there, Solomini crossed the wire first at Los Al, beating McKinzie and Instilled Regard before being disqualified. 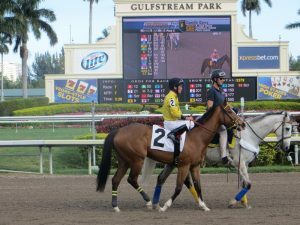 And then in his 2018 debut, he had a bit of trouble before running 2nd to Magnum Moon in a very honest effort. Yes, McKinzie was giving experience to Solomini at Los Al. And yes, Magnum Moon was also lightly raced at Oaklawn. I’ll concede both points. But Instilled Regard came back to win at Fair Grounds. And McKinzie came back to win the Sham and out-gamed Bolt d’Oro in the San Felipe. 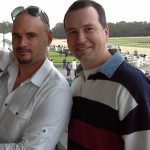 So my long-winded, somewhat-amateurish point is this: There is ample evidence to support the argument that Solomini is, depending on the day, on the same level as McKinzie, Instilled Regard, and Magnum Moon if we give Solomini some extra credit for needing the race and running into traffic. And since Bolt d’Oro and McKinzie were nearly inseparable in the San Felipe, it’s not totally absurd to put Solomini and Bolt d’Oro in the same sentence. Solomini beat him in the Breeders’ Cup, right? 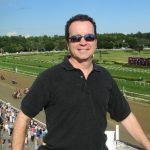 So, if Solomini arguably, and on the right day, equals (or almost equals) McKinzie, Bolt d’Oro, and Magnum Moon, and if Good Magic is better than Solomini, then you can logically make the case that Good Magic has demonstrated on the racetrack that he is, to this point, the leader of the pack. Look, I get it. I’ve been following this sport for a long time. I understand that I am grossly over-simplifying the comparison of performances and talent and I’m not considering several other widely-accepted handicapping factors. But my argument is not totally baseless in an annoying college-Philosophy-professor sort of way. Now for Good Magic’s 2018 debut. It was not anywhere near as poor as many observers said it was. Forget the alleged missed workouts due to the foot issue. He was wide all the way around, he tried to close into a slowish pace, made a move, and flattened out. But he didn’t stop. Word is by some speed figure measures, he ran better than the winner. So it did not darken his Kentucky Derby chances at all in my opinion. 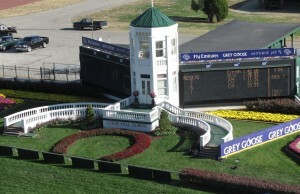 That said, he needs to show forward progress on Saturday in the Blue Grass against a tough bunch. I am not concerned about the Florida Derby efforts of the two horses who beat Good Magic in the Fountain of Youth. That pace was blazing and they had to finish at the back. The horses that Good Magic beat in the Breeders’ Cup have since come back to do impressive things. Even Givemeaminit, a horse that Good Magic defeated by nearly 14 lengths in the Breeders’ Cup, came back to run within nine lengths of Derby contenders Noble Indy, Lone Sailor, and My Boy Jack in the Louisiana Derby. So I am choosing to look at Good Magic’s Fountain of Youth as exactly what is was: a prep for bigger things. And if I am right, we may just be looking at a defending champion who is primed for a big Spring. And depending on how things go on Saturday, he may be a big price in Louisville.